Every once in a while I get an order that takes me away from “Brooch Bouquets” and allows me to unleash my creative juices! 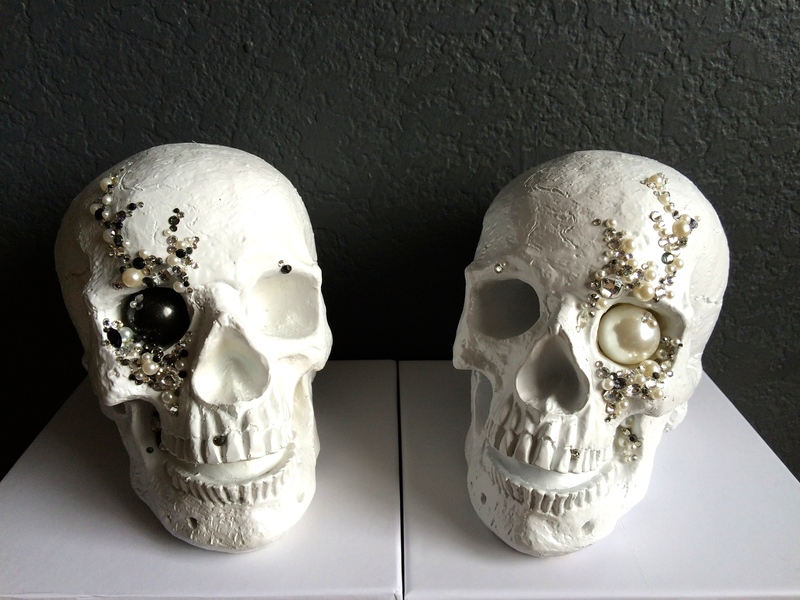 This wedding is scheduled to take place on Halloween, the request… Bride & Groom skulls! Done! I can’t wait to see how they are used! Talk about out-of-the-box thinking! I really do love my job!